Despite never trailing over 40 minutes of regulation play, the Tigers needed five minutes of overtime to escape with a win this afternoon in Orlando. Knights' guard Brandon Goodwin converted a driving layup off the glass with 3.4 seconds left in regulation to tie the score at 59, completing a 14-3 UCF run over the game's final 6:20. But after a Memphis turnover and a desperation UCF heave that went awry, the Tigers scored the first nine points of the extra session to secure their third straight victory and end a three-game winning streak for the Knights. 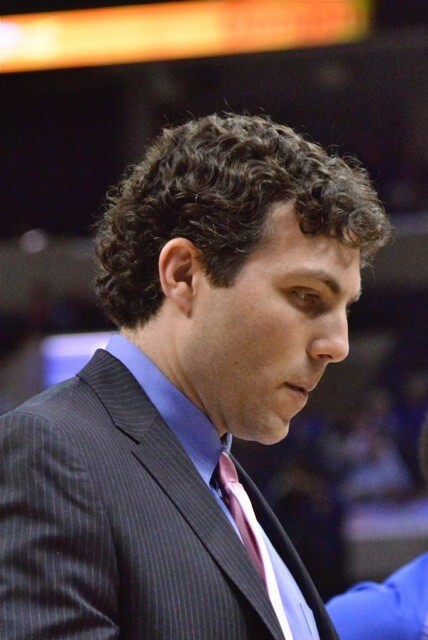 Tiger forward Austin Nichols didn't start, not because of any lingering effects of his recent ankle injury, but for a violation of team rules since the Tigers last game Thursday night. He entered the game after seven minutes of play and proceeded to lead all scorers with 20 points. His putback of a missed layup attempt opened the scoring in overtime. Markel Crawford then took possession after a UCF turnover and fed Shaq Goodwin with a pass off the backboard, one Goodwin dunked with authority and a scream of delight. A Kedren Johnson three-pointer and a pair of free throws by Avery Woodson extended the lead to 68-59 with 2:28 to play and proved to be all the scoring the U of M needed. The Tigers opened the game on an 18-2 tear, opened the second half on a 9-1 run, then welcomed overtime with that 9-0 stretch. The Knights simply didn't have the luxury of 20 minutes in overtime to mount a comeback. Memphis shot 39 percent for the game, while the Knights hit 38 percent from the field. The teams combined to make only 12 of 54 shots from three-point range. 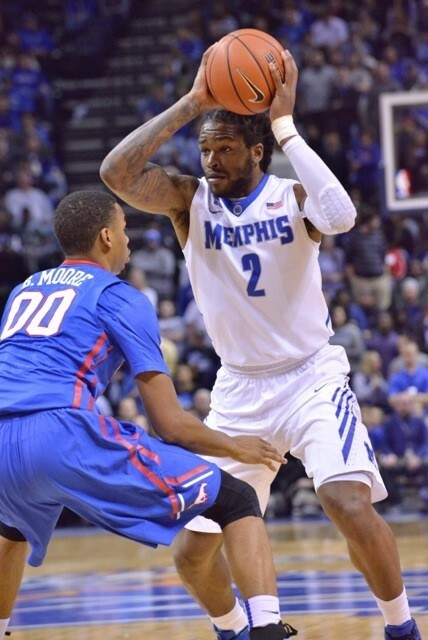 Johnson scored 13 points and Woodson 11, while Goodwin led the Tigers with 11 rebounds. The win improves the Tigers' record to 17-10 (9-5 in the American Athletic Conference standings, good for fifth place currently). The team's toughest four-game stretch of the season awaits, starting when league-leading SMU comes to town Thursday. 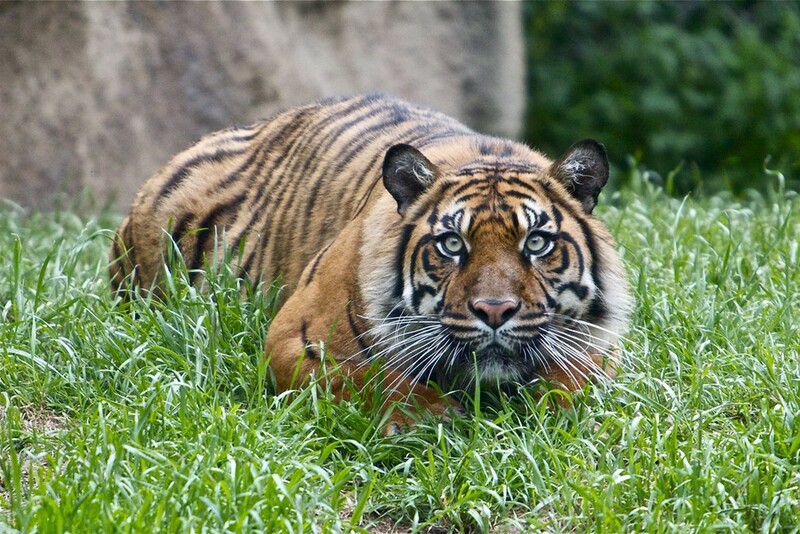 After the Mustangs, the Tigers will host Tulsa (2/28), then travel to UConn (3/5) and Cincinnati (3/8). The Tigers secured a much-needed — and easy — win this afternoon in Tampa, handling the American Athletic Conference's cellar-dwellers in their only meeting of the season. Both teams shot woefully in the first half, the Bulls missing 18 of their first 22 attempts and Memphis shooting 33 percent for the period. But three-pointers by Markel Crawford, Trahson Burrell, and D'Marnier Cunningham helped the U of M to a 10-point lead (31-21) at the break. USF scored the first seven points of the second half to close within three (31-28) and were down four (37-33) when the Tigers took off on a 24-4 tear. A pair of treys by Avery Woodson highlighted the run and helped make this the 14th blowout victory among the Tigers' 15 wins. Woodson finished the game with 11 points. Shaq Goodwin continues to fill what he can of the void left by Austin Nichols (out for a second game with an ankle injury). Goodwin scored a game-high 18 points a hauled in nine rebounds to lead the Tigers. The Tiger bench combined for 32 points, Nick King leading the way with nine. Cunningham delivered the game's top highlight with a breakaway dunk midway through the second half, well after the game had been decided. The U of M controlled the ball well, coughing up only ten turnovers against 17 assists. Sophomore guard Jake McDowell got the first start of his college career. Now 15-10 (7-5 in league play), the Tigers will play three of their next four games at FedExForum, each against an AAC title contender. Connecticut visits next Thursday for an 8 p.m. tip-off. A disappointing season spiraled further downward for the Tigers tonight in Greenville, North Carolina, where they lost to the East Carolina Pirates two weeks after beating them by 12 points at FedExForum. The difference tonight was the absence of Austin Nichols, the U of M's most consistent offensive threat and only rim protector defensively. Nichols missed the first of an estimated four games with an ankle injury suffered in his team's loss to Temple last Saturday. The lead changed hands four times late in the second half before ECU pulled away over the game's final four minutes as the Pirates ended the contest on a 14-4 run. The win is just the second in 17 games for East Carolina against Memphis. B.J. Tyson was the star for the Pirates with 23 points off the bench. Tyson slammed home two of three consecutive Pirate dunks early in the second half, a sequence that turned a 29-27 Memphis lead into a 33-29 advantage for the home team. 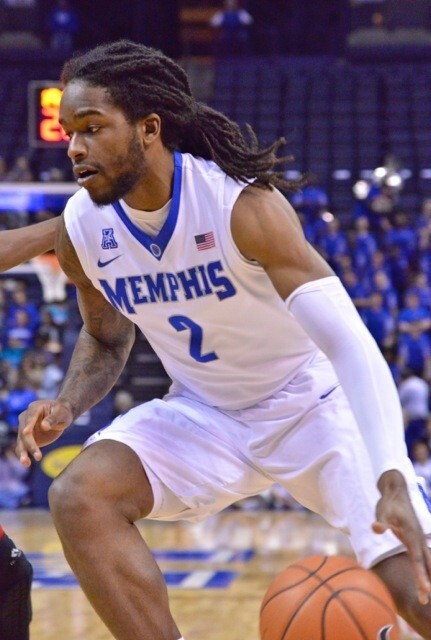 Shaq Goodwin converted a three-point play with 6:24 to play to give the Tigers a brief 47-46 lead, but ECU continued to capitalize on Memphis mistakes, including a shot-clock violation coming out of a timeout with the Tigers down only two points. The U of M committed 18 turnovers while picking up only 12 assists. Without Nichols to feed offensively, the Tigers shot 36 percent (19 for 52), while ECU hit 46 percent from the field. 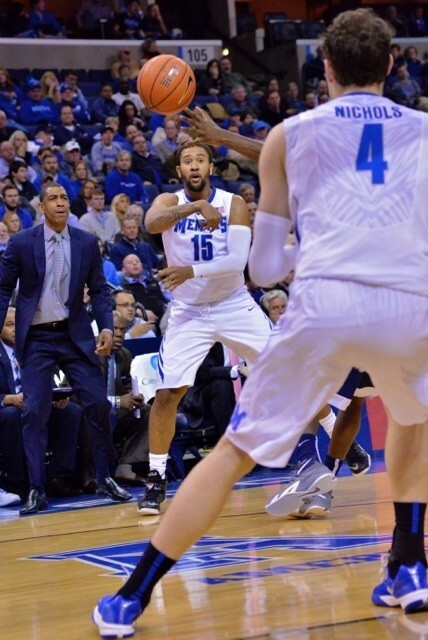 The Tiger rotation was compromised further when Calvin Godfrey — who started in place of Nichols — picked up two early fouls and saw his minutes squeezed before fouling out in the second half. He scored five points and pulled down seven rebounds in the limited action. Goodwin and Nick King led the Tigers with 13 points, the former pulling down 12 rebounds and the latter eight. 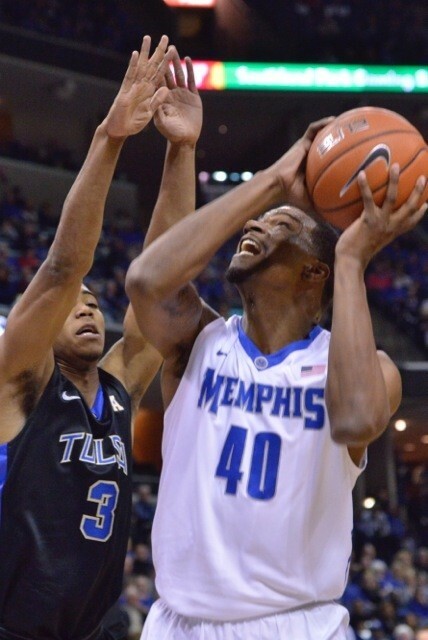 Trahson Burrell was held scoreless and no other Tiger scored as many as ten points. East Carolina improves to 11-13 (4-7 in American Athletic Conference play), while the Tigers fall to 14-10 (6-5). 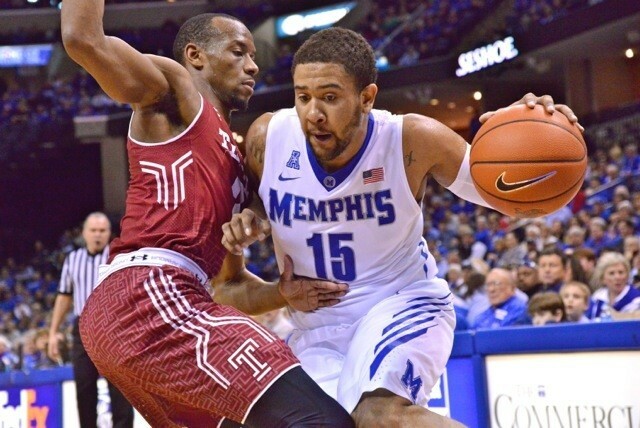 Memphis is left to compete for a top-five spot in the AAC standings, which would earn them a bye to the quarterfinals of the AAC tourney, the team's only remaining chance at reaching the NCAA tournament. The U of M next plays Saturday when it visits USF for the teams' only meeting this season. 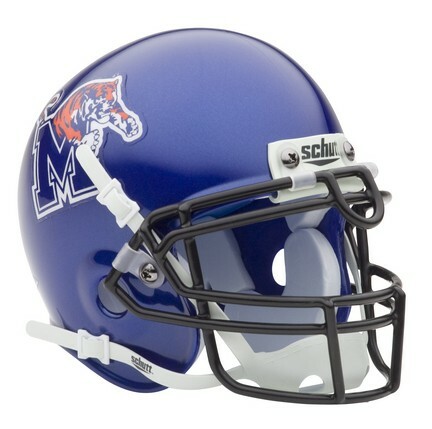 When's the last time a Tiger football recruiting class joined a 10-win team? Well, FDR was president. Meet the class of '15.